The attacks began around 9:40 p.m. on Wednesday, November 26, 2008. The last of the attacks was declared at an end on the following Saturday morning, November 29. There were multiple, coordinated attacks on targets across Mumbai, India’s largest city, financial capital, and home to the Bollywood film industry. There were also shootings in the streets and strikes on many other locations. 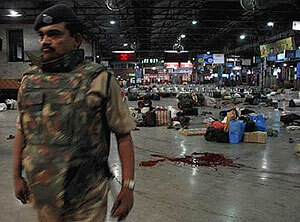 Just 10 gunmen, Indian authorities say, were responsible for the attacks. Many people dispute this figure, arguing that help from others must have been necessary to gain access and carry out the attacks. They came by boat from Pakistan and on landing in Mumbai Harbour, split up into pairs and spread out across the city. They were from Jihadist group Lashkar-e-Taiba (Army of the Pure). Despite their proclaimed Islamist agenda, there were scores of Muslims amongst their victims. The bodies of the nine gunmen who were killed remain unclaimed, in Mumbai’s morgue: the Indian Islamic Council has declined to give them an Islamic burial. 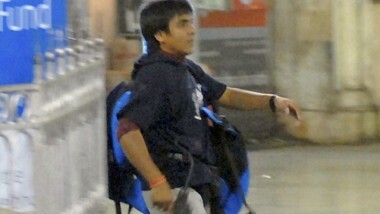 The lone surviving gunman, 21-year old, Azam Amir Kasab is currently on trial in India, on a host of charges ranging from making war on India to fare evasion at Victoria Station. The attacks were mounted within minutes of each other. Some were straight out attacks, such as the strike on Victoria Station and the Leopold Café. 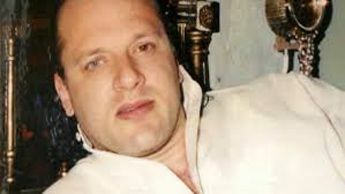 At The Taj Hotel and the Oberoi Hotel and Nariman House, there were multiple killings as the gunmen entered the buildings and then a state of siege developed. In both hotels, the gunmen went from floor to floor and room to room seeking out targets. They also lit fires and threw grenades. Many people perished in the smoke. Hundreds of people caught up in the attacks later reported that their mobile phones had been critical to their survival. The ability to access information literally meant the difference between life and death. News reports gathered instantly from all over the world informed those suddenly caught up in the terror, that this was not a hit and run attack, that the gunmen were still in the building and to stay in hiding until they were told it was safe to leave. Shockingly, the same media coverage and consumer communications technology used by the victims were also used by the terrorists to hunt down their victims and further their mission. 172 people were killed in the attacks. These included many local Mumbaikars, as well as visitors from all over the world. At both hotels, many staff died or were wounded as they attempted to protect their guests. 1. 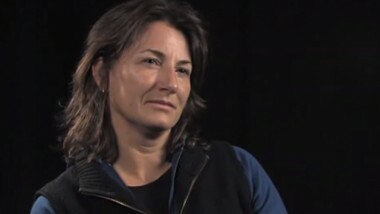 Debra Bayne’s daughter Deirdre, was on the other side of the world in British Columbia. She was doing research in a remote village with indigenous communities, but still saw news of the attacks on her hotel TV. When news of the attack broke, the chief insisted on collecting Deirdre from her hotel and Deirdre watched the rest of the siege unfold on TV from his home, surrounded by his family. At one stage Debra was able to reassure Deirdre that she was a long way from the fighting, high up on the 19th floor, while all the gunfire was downstairs in the lobby. 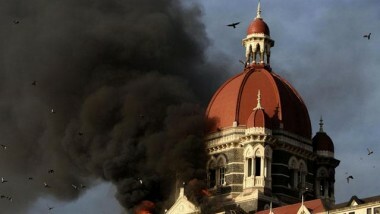 Not long after, news reports showed that the gunmen had moved up through the Oberoi Hotel – the floor they had dug in on? The 19th. 2. 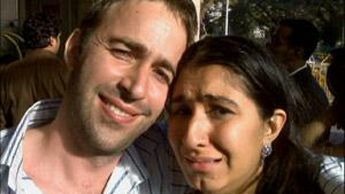 Michael and Anjali Pollack were married in the Taj Hotel. They were back having dinner with friends when the attacks began. Before dinner, Anjali went to buy a book in the bookshop on the other side of the hotel. If she had stayed only a few more minutes, she would have been caught in the opening gunfire in the lobby. 3. Meltem Müezzino?lu’s telephone was seized by the gunmen and used to communicate with their handlers in Pakistan over the next days. Meltem’s husband Seyfi says they later got a bill many times the normal amount. 4. Anthony Rose credits his mobile phone with saving his life in the Taj hotel – being connected to information from all over the world instantly gave him the best possible options to survive. Within an hour of escaping from the siege, and giving a quick interview to news cameras, he’d become part of the news cycle too: immortalized by a young man in Texas who saw the interview and uploaded to YouTube a song he wrote on the spot: The Ballad Of Anthony Rose.